Nelson, M., W. Retzlaff, and S. Morgan. The Case for Maintenance – Green Roof Weeding and Plant Replacement. American Society of Civil Engineers Low Impact Development Conference. Nashville, TN. Poster, August 2018. Hodge, J. S. Morgan, V. Jost, K. Luckett, and W. Retzlaff. 2016. Long-term success of Sedums on a mid-western green roof. Poster at the 108th Annual Meeting of the Illinois State Academy of Science, SIUe, Edwardsville, IL, 15-16 Apr. Morgan, S., and B. Retzlaff. “Rooftop Vegetable Production at SIUE.” Lifelong Learning Program. SIUE. September 23, 2015. Butts, P., M. Woolbright, B. Faucette, S. Halverson, S. Morgan, and W. Retzlaff. 2015. Green roof vegetable production in three different growth media blends. Poster at the Cities Alive 14th Annual Green Roof and Wall Conference, New York, NY, 5-7 Oct.
Weber, I., M. Grinter, P. Minchin, S. Morgan, and W. Retzlaff. Short term vegetative stabilization of construction sites. Society for Ecological Restoration 5th World Conference. Madison, WI. Poster. October 2013. Eichhorst, J., A. Ofori-Tettey, and S. Morgan. Nutrient Analysis of the Effluent of Bioretention Systems Containing Municipal Waste Incinerator Bottom Ash. Low Impact Development Conference. St. Paul, MN. August 2013. Swearingin, L., S. Morgan, V. Jost, Z. Lin, K. Luckett, and W. Retzlaff. 2008. Impact of growth media, species, and fertilizer selection on green roof performance. Poster at 100th Annual Meeting Illinois State Academy of Science, Urbana-Champaign, IL. 4-5 April. Retzlaff, W. S. Morgan, K. Forrester, S. Kaufman, J. Gibbs-Alley, H. Lucas, D. Gaffney, L. Richter, M. Sydow, C. Hise, E. Woods, L. Swearingin, R. Lucas, A. Sidwell, and S. Alsup. 2008. Evaluating the performance of green roof plants and growth media. Poster at Sixth Annual Greening Rooftops for Sustainable Communities Conference Awards and Trade Show. Baltimore, MD, April 30 – May 2. Retzlaff, W. 2008. Growing opportunities: Grow up green walls and roof plant trials at SIUE. Oral Presentation at Missouri Landscape and Nursery Association, Growing Together 2008. Columbia MO. Feb. 6th. Sydow, M., K. Forrester, V. Jost, K. Luckett, S. Morgan, and W. Retzlaff. 2007. 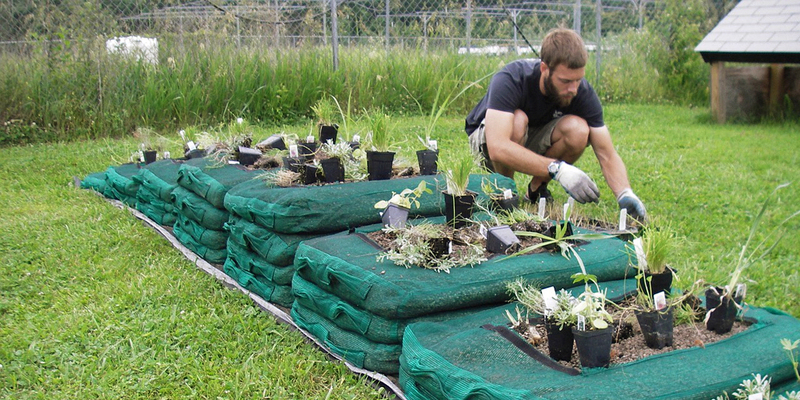 Evaluating plants in green roof systems following establishment. Poster at 99th Annual Meeting Illinois State Academy of Science, Illinois State Museum and Lincoln Land Community College, April 20-21, 2007. Kaufman, S., K. Luckett, V. Jost, S. Morgan, T. Yan, and W. Retzlaff. 2006. Plant species evaluation for extensive green roof applications in the Midwestern United States. Poster Presentation @ Illinois State Academy of Science, 98th annual meeting, April 20-22, 2006, University of Chicago, Chicago, IL.